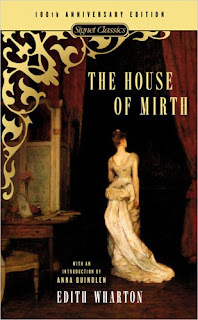 "The House of Mirth" is better reviewed after it is digested, because there are many angles to explore... but I'm chomping at the bit to review it right away so here we go. The novel was a bit of a struggle because the main character, Lily Bart frustrated the hell out of me. A few of the characters in the novel will sympathize with me. Let's start off by saying that the novel is based on Wharton's own experiences, growing up in New York City in the late 1800's. It's a typical materialistic society, completely based on money and status within society where the rich rarely worked (or didn't need to work), the poor were poor, and the middle-class strive to live like the rich. The main character, Lily Bart was in the latter category. Lily Bart was extremely beautiful, which lead all the men to fall in love with her (with negative results) and most of the women to feel envious of her beauty and a desire to break her down with the power they held in society. Lily Bart's central flaw was her inability to be happy with an existence in her own income (and consequently status) bracket. She tried to keep up with the Jones' (points for whomever can tell me where this term originates) to the point where she had spent everything she had. Because she didn't want to live a 'dingy' life and was poor, she had to scheme to get money. In this society, the way to elevate your position in society was to marry rich and Lily Bart tried to play this game but struggled with the acceptance of her lot. What makes Lily Bart a sympathetic character, is that while she had a desire for the finer things in life (she was vain and materialistic), she had a problem accepting that she should marry for money and not for love. Of course, she was able to convince herself on one occasion that marrying for money was not a bad idea... but we are left with the feeling that at some point she would regret this choice if she ever made the plunge. It's this 'moral code' which made Lily endearing, in a small way and why some (myself not included) view her as a heroine. She enjoyed helping people (possibly just for the way it made her feel - not entirely altruistic) and when confronted with numerous opportunities to punish those that had wrongly punished her, she chose the high road. The only likable characters in the book were Lawrence Seldon, and he lost some of his lustre as time wore on and he was bandied about by Lily, and Gerty (Lily's cousin) who was a sweet girl who was happy with her lower status in society. She was never loved, but she loved many people and contributed to charity and was always striving to aid her friends when in need. As a reader, this book was a struggle because everyone was phony and obsessed with money which was probably a true account of NYC at the time. 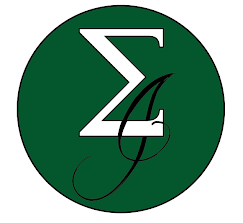 By this account, and the popular though on the subject, is that the people of high society were fools and those wanting to join this group in their 'mirth' were also fools. I agree with this, but my brain wants to take this to another level. 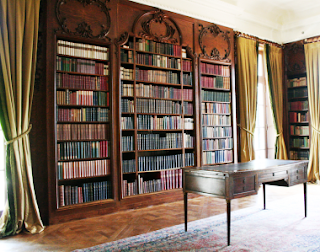 The 'house of mourning', which I believe is akin the struggle of existence that high society does not have to face, is in fact a real house in this novel. I believe it's the house of Nettie Crane (Nettie Strathen). For those who have read this work, what do you think? Overall, I will say that the struggle through most of the middle of the novel was worth it for the ending, but be prepared for a depressing read. I would recommend the work, but it's definitely not anywhere near the top of my list. I loved the House of Mirth when I read it about ten years ago, but I definitely need to read it again. Lily Bart is a very complicated character and while she exasperated me at times, at others times I found her quite compelling and sympathetic. Great review! I just finished this one a couple weeks ago, and I had many of the same thoughts you did. And oh, I get the points because "keeping up with the Joneses" comes from Edith Newbold Jones Wharton's rich NY family. Odd that I thought of the term when reading the book... and new that Wharton's maiden name was Jones and didn't put the two together... thanks for the clarification.